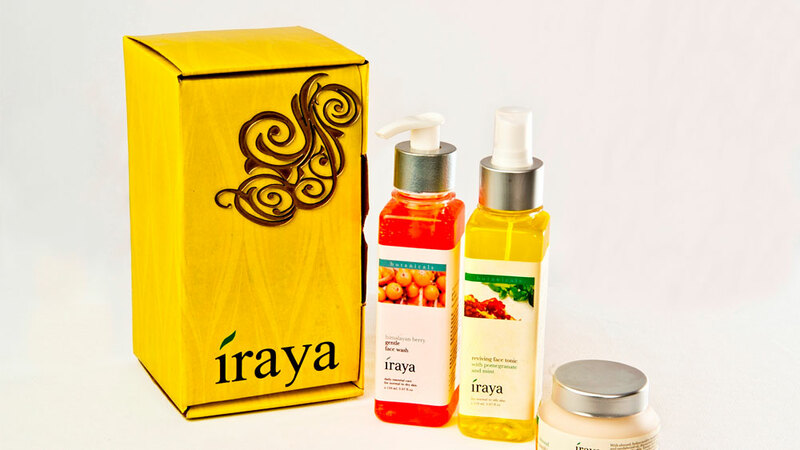 To enlighten rough, dry and undernourished skin, leading beauty brand Iraya introduces light massage oils, infused with unique combination of Sesame oil, Rice bran oil and fractionated Coconut oil with other essential oils. The Iraya aroma light massage oil is made from a base containing sesame oil, rice bran oil and fractionated coconut oil and get easily absorbed in skin, without leaving any greasy feel. The light texture of the oil makes it a popular choice for any spa rituals with enduring workability, effortless glide and skin-enhancing nutrients. Ideal for full body massage, Iraya light massage oils are enriched with essential oil like lemongrass, lavender, ylang ylang, sandalwood, rose and jasmine. Fractionated coconut oil: Though regular coconut oil is thick in texture with white solid oil, however, fractionated coconut oil is light, non-greasy oil. Known as fractionated coconut oil because it contains only a fraction of the whole oil and the long-chain triglycerides have been removed from it, leaving only the medium-chain triglycerides. Fractionated coconut oil is less expensive in comparison with sweet almond oil and like jojoba oil, it has a long shelf life. The best quality of fractionated coconut oil is being no-stain oil, a problem with most other massage oils. Sesame oil: It is rather thick oil which makes skin oily, thus blended with lighter massage oils. Sesame oil is the gift of Ayurveda, the traditional medicine of India which has proven tremendous skin benefits as it penetrates deeply in skin. Sesame oil is especially useful for nourishing and detoxifying, and for any ailments associated with the vata (the impulse principle necessary to mobilise function of nervous system) such as anxiety, poor circulation, constipation, bloating, and excessive dryness. Rice bran oil: Prized for its skin soothing enzymes and antioxidant properties, rice bran oil is the oil extracted from the germ and inner husk of rice, contains high percentages of fatty acids, which makes it a perfect skin moisturizer. The main benefit of rice bran oil to the skin is its wonderful deep-moisturising capability. Lemongrass, Lavender & Rosemary, Indian Rose, Peppermint & Basil, Bitter Orange & Cinnamon, Sandalwood, Night Jasmine, Lavender, Sensual Blend, Neroli & Lavender Light Massage Oil, Himalayan tree light massage oil and Hazelnut &Vanilla light massage oils are available at signature and other leading retail outlets. About Us: Sugardough is the brainchild of Mr. Pravin Rao, who..
Go 'Green' to retain natural glow of your skin..